May Is Neurofibromatosis Awareness Month. Take The Challenge! Did you know that Neurofibromatosis affects more people than cystic fibrosis and muscular dystrophy combined, yet most people have never heard of it and even more people have trouble pronouncing, Neurofibromatosis. But we can change that! 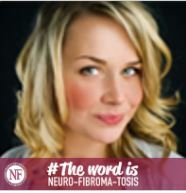 This year, we're joining #TheWordIs campaign to generate more awareness of neurofibromatosis and the people this disorder affects. Our goal is to spread the word “Neurofibromatosis” across social media so that it is known in every household. Here's how you can help, take our 4-part challenge! Step 2. Record a video of yourself saying “neuro-fibroma-tosis” (do your best!). Post it to social media, then tag Neurofibromatosis Network! Have your friends, family and kids join you and have fun with it – we know it’s a tough word to say! Watch Dave Andelman, Phantom Gourmet, show you how it's done. Use hashtag, #TheWordIs and include a link to our website at www.nfnetwork.org so everyone can educate themselves on what's important to you. Step 3. 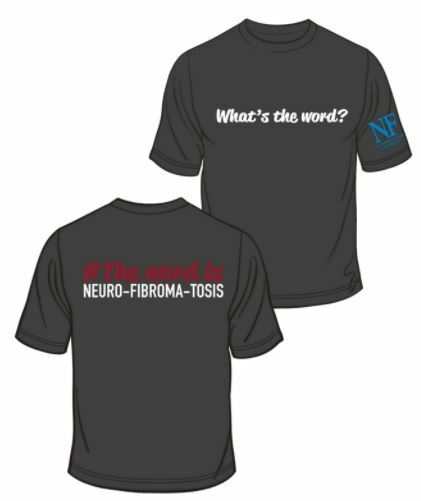 Purchase and wear #TheWordIs Neurofibromatosis t-shirts to spread more awareness, just $20.